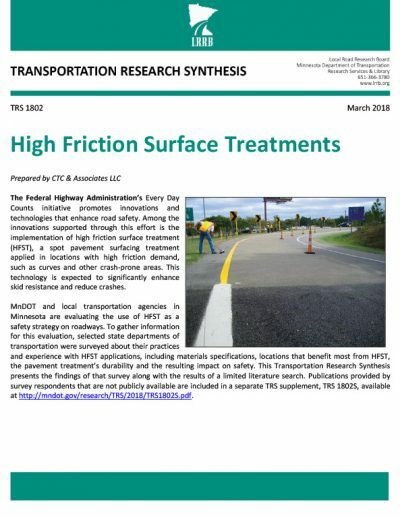 In this Transportation Research Synthesis, CTC & Associates helped the Minnesota Local Road Research Board gather information about the bridge removal programs and policies in other states. 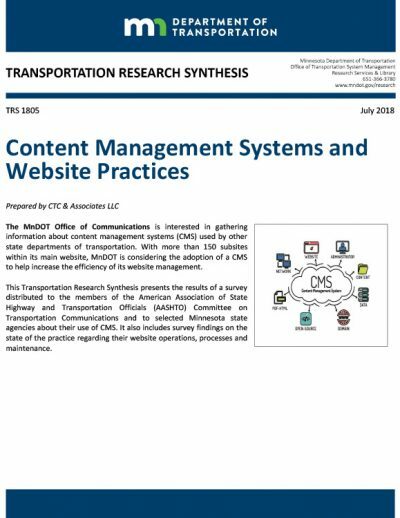 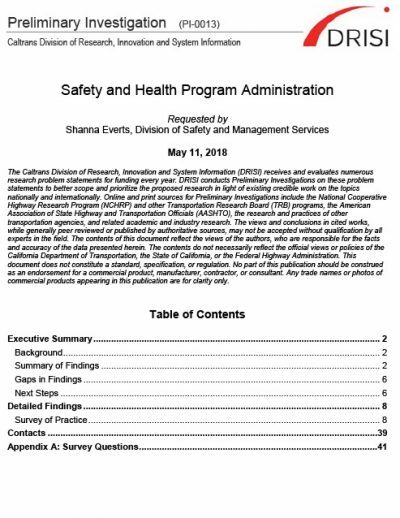 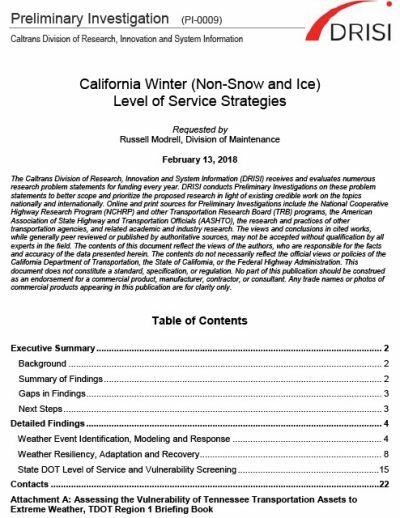 This synthesis provides the results of a survey of state departments of transportation about bridge removal practices, criteria and funding programs. 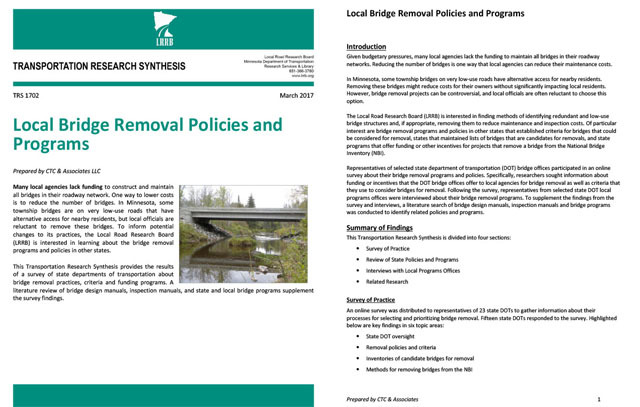 A literature review of bridge design manuals, inspection manuals, and state and local bridge programs supplement the survey findings.